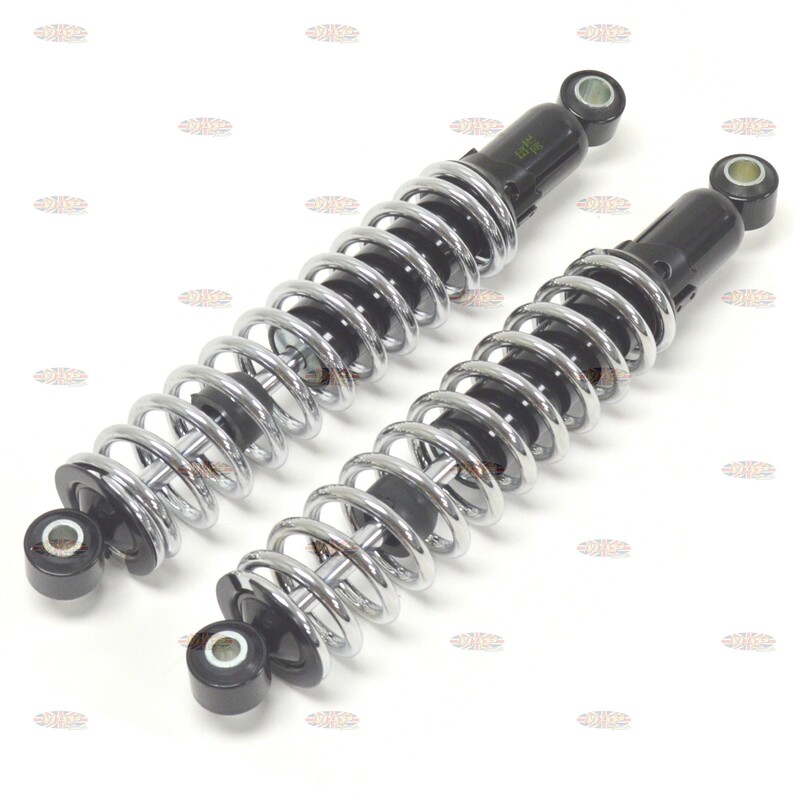 These shocks are designed to bolt up to Norton Wideline Featherbed frame models Model 50, ES2. Overall length eye to eye: 327mm (12.875"); bushing eye I.D. 8mm (0.314"); bushing width 20mm (.787) top 24mm (0.944") bottom. Have a Question about Norton Wideline Featherbed Vintage Replica Shock Set ? 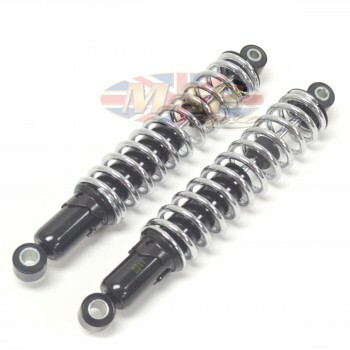 Will these shocks fit a Norton Atlas? If there have been no frame modifications to your bike, these shocks should fit your Atlas. The Atlas was built from 1962-68 and used the Featherbed frame. The Featherbed frame was replaced with the Isolastic frame by Norton in 1967, for use on the Commando. These shocks were designed to fit Featherbed frame models.